On Podcast #23, we have Eiland Glover, founder of Kowala. He helps us sort through the cryptocurrency noise, sets out the problems to be solved, and challenges us to think about cryptocurrencies in the future. 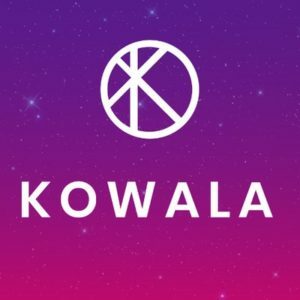 Eiland Glover is the CEO and Cofounder of KOWALA, creator of the world’s first autonomously stabilizing cryptocurrency: kUSD. Eiland has spent his career creating systems and companies at the intersection of finance, technology, education, game theory, and human psychology. He is a firm believer that new technologies must be consciously designed and utilized to empower humans. In 2012, Eiland learned about Bitcoin and wondered why this amazing technology had not become ubiquitous. He co-created Kowala based on his belief that a decentralized stable coin is necessary for the mainstream adoption of cryptocurrencies. That has led to the development of cryptocurrencies which have exploded in popularity in recent years most acutely in the last year. Eiland’s background and how he got interested in the space. A quick history of cryptocurrencies and their function and how we got to this point. Bitcoin, et al- how did we go from intellectual exercise to solve integrity issues in peer to peer information transfer to intangible value transfer? What does the business person who would like to embrace cryptocurrecy as a method of payment need to be worried about? What does the casual cryptocurrency investor need to be worried about? Speed of transfer- How do you get the distributed ledger participants to ratify block transactions faster so that commerce can flow more smoothly? Security of coin storage and value transfer- how does one minimize hacking, theft, double counting, broken hard-drives, lost passwords etc . . .
Non-volatile store of wealth? What is the value in being pegged to a country-backed currency? Why not just be in the currency itself? Will countries “cut out the middle man”? And employ crypto currency features in their own currencies? Would that work? Tipping point for adoption: will it be when it is common place to buy real estate with it? Candy bars? Used as wages? Which ones are out there? What makes them good or bad? Digital coins melded to different state-backed currency? What happens if the USD goes haywire? Can that be a source of volatility? How do miners help kUSD? As important parts of the blockchain ratification process, how do you keep them happy? -How do we stay in touch with you, KOWALA, and kUSD?